If not for the veto of George Harrison, Chimera, the female duo of guitarist/vocalist/composer Lisa Bankoff and vocalist Francesca Garnett, would have been signed by Apple Records. 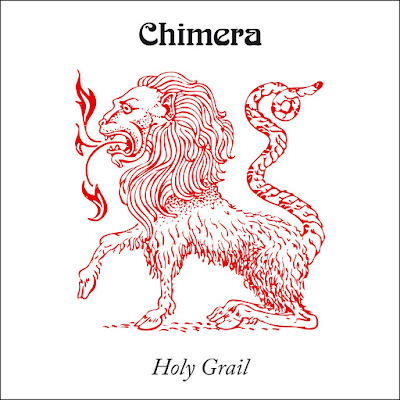 Despite this unfortunate event, Chimera attracted the attention of Pink Floyd drummer, Nick Mason, who took over as their manager and arranged a contract with Monty Babson’s Morgan Bluetown label, a side project of the Morgan Music Studio, which was in the late 1960’s one of the UK’s top studios with Led Zeppelin’s second album, Free’s debut LP “Tons Of Sobs” and Jethro Tull’s “Stand Up” being but three of the classic albums recorded there. The label offered its artists free time in the studio when it wasn’t otherwise in use and some highly talented people formed a tight production team. 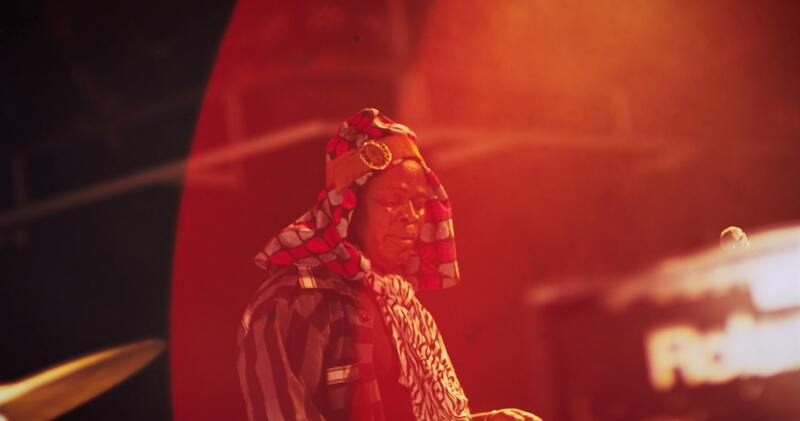 Among its ranks were Wil Malone, who went on to be a top flight arranger, working on Massive Attack’s “Unfinished Sympathy” and the Verve’s “Bitter Sweet Symphony” as well as engineer Mal Luker, who worked with the likes of The Kiinks, Amon Duul and Placido Domingo. In addition, manager Mason produced six tracks by the band as well as bringing in Pink Floyd’s Rick Wright to play harpsichord on “Lady With Bullets In Her Hair” joined by future Fleetwood Mac guitarist Bob Weston and T-Rex rhythm guitarist/bass guitarist Mickie Finn, who appeared on several tracks. 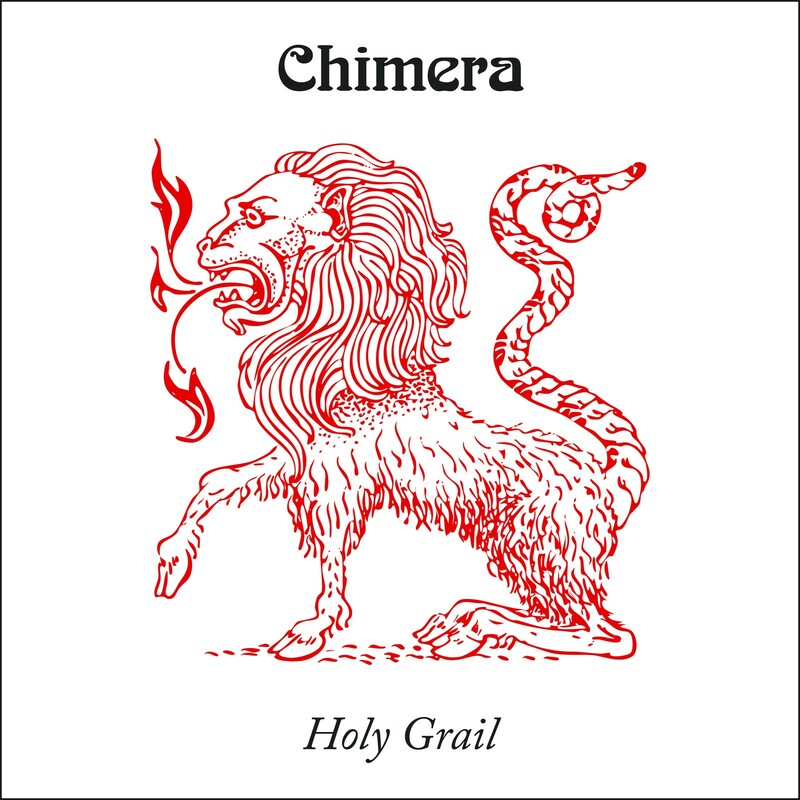 It is hard to imagine a band with a more versatile, cross genre sound than Chimera. The band’s core duo, with the aid of many guest musicians, moved seamlessly from heavy rock in the vein of Steppenwolf, the Jefferson Airplane and Fleetwood Mac to delicate folk rock tunes reminiscent of Joni Mitchell, Joan Baez and Judy Collins. The band’s sole LP recorded between 1967 and 1970, did not appear until 2002 when Tenth Planet Records released a ten track LP and Wooden Hill Records a nineteen track CD, both simply titled “Chimera.” All of the tunes were written by Bankoff. The Morgan Bluetown release comes in an LP with a track listing identical to the 2002 release, and a twenty one track CD, two previously unreleased tracks having been found when the master tapes, long assumed lost, were located in the Morgan Music vaults. “Holy Grail” opens with the fuzz filled, feedback laden “Red Hat Babe” a hot rocker in the vein of Steppenwolf. The song has a driving beat, a heavy riff and cowbell added for good measure as well as an incredible guitar solo outro. “Song In E” by contrast, has a delicate acoustic guitar intro, gorgeous vocal harmonies a la Fleetwood Mac and closes with waves of strings arranged by Malone.“Episode At Telegraph Hill” has a heavy guitar riff over the top of beautiful vocals, with stinging lead guitar leading up to a ringing solo that plays the song out. “Morning Sounds” is a gentle number featuring acoustic guitar and strings, with vocals bringing Judy Collins’ “Both Sides Now” period to mind. Side one of the album closes with “Peru” a pleasant mix of melodic vocals, an insistent guitar riff and hi hats added for texture. The tune features a couple of false stops for good measure. Side two begins with “Come Into My Garden” filled with tasty guitars and vocal harmonies bringing Joni Mitchell’s “Woodstock” to mind. The tune has a flower power vibe with lead guitar and organ to the fore instrumentally. 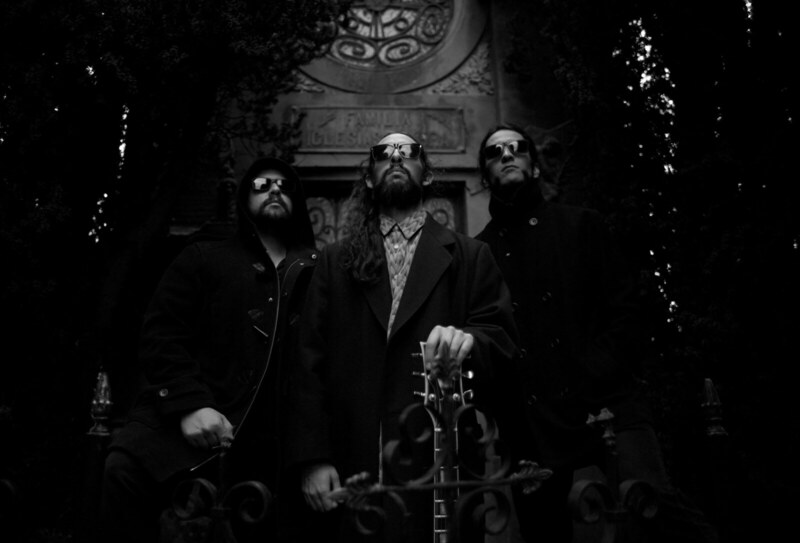 The semi-title track “Grail” opens with feedback leading to a false stop before delicate acoustic guitar, organ and vocals make their entrance. This introspective, ethereal track closes with delightful chimes. “Sad Song For Winter” mixes haunting harpsichord, acoustic guitars and more Joni/Joan/Judy vocal harmonies as well as another chime filled outro. “Mary’s Mystery” begins with electric guitar and hi hats, but a minute in the lead guitar takes over, speeding up the tempo, with a swirling guitar solo and pounding drums taking charge for the remaining three minutes. “Holy Grail” closes with the incredibly delicate “Lady With Bullets In Her Hair” featuring Pink Floyd’s Nick Mason on harpsichord and showcasing Wil Malone’s string arrangement, flute, as well as Bankoff and Garnett’s vocal talents. A wonderful closer, proving the versatility of the group’s sound beyond a shadow of a doubt. An amazing collection of tunes by an incredibly talented and versatile vocal duo aided by a fluid group of studio musicians it is baffling as to why George Harrison would balk at signing Chimera to the Apple label, and equally mystifying as to why the band and its album were unable to find release in 1970. “Holy Grail” ups the ante by not only adding two tracks to the Chimera musical catalog, but also greatly improves the sound quality thanks to the utilization of the original master tapes and a wonderful remastering job The package is rounded out by an 8 page full color booklet featuring band and master tape box photos and an essay by Clive Willis. 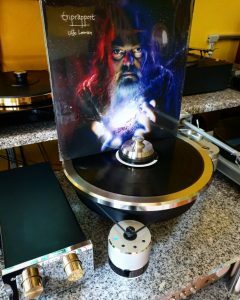 “Holy Grail” will be of great interest to fans of folk, folk rock, psychedelic folk and psychedelic rock fans alike, a testament to the incredible versatility of Chimera and the songwriting of Lisa Bankoff. The set is most highly recommended.